Anthem's story won't end at launch, and post-release content won't be locked behind a pay-wall. The confirmation comes from executive producer Mark Darrah during a Q&A session at PAX West. In a follow-up interview with USGamer, Darrah doubled down on the statement, noting that Anthem will ship as a complete game. "You would be able to play for months and months," said Darrah. "Even if we weren't then layering a live service on top of it. So, I think it's an excellent value right off the start." Bioware and EA's decision is a stark contrast to Anthem's competition, with Bungie just releasing Forsaken as a paid expansion to Destiny 2 this week. Forsaken is the third paid content update to the game, with previous DLC releases Curse of Osiris and Warmind also locked behind a paywall. The game's Eververse marketplace has also drawn heavy criticism from the Destiny community due to the use of loot boxes. 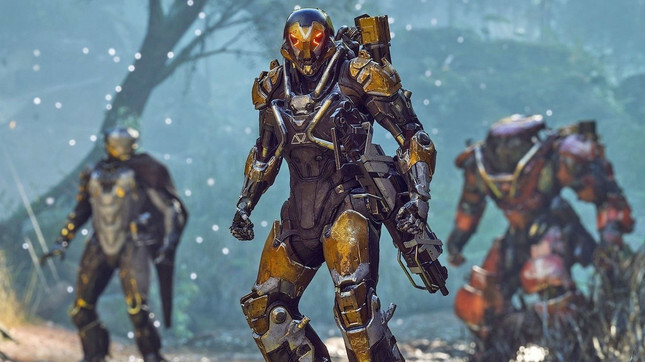 EA had already confirmed at E3 this year that Anthem would not contain loot boxes, noting that cosmetic gear would be available to purchase, but that players could earn the same cosmetics just by playing the game.